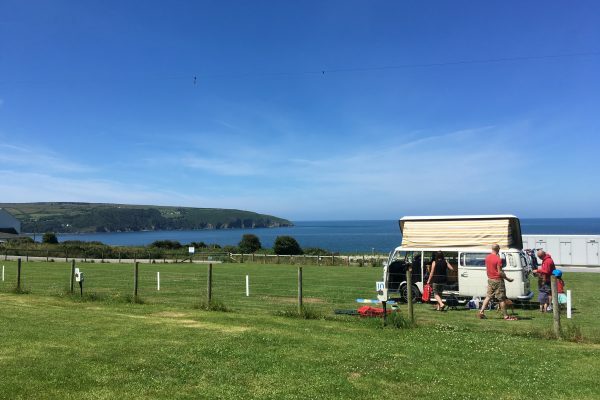 Pitch up for stunning views over the Teifi Estuary to Cardigan Bay, Pembrokeshire Coast National Park and of course Cardigan Island, plus have Farm Park fun on your doorstep included in your stay! Part of the Camping and Caravanning Club, our small campsite is located on our farm adjacent to the Farm Park. 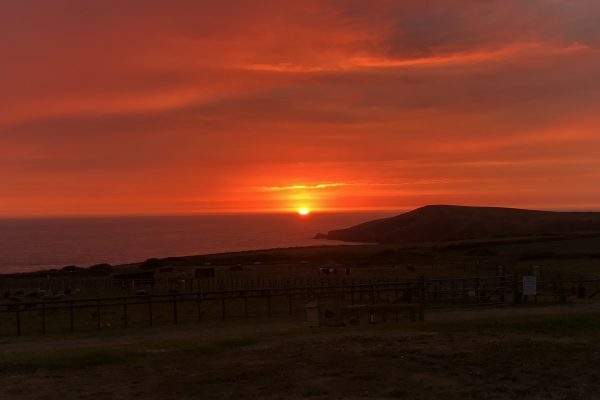 After a day at the Farm Park visiting the farm animals and viewing the seals, or exploring the surrounding area including the beautiful beaches, settle down and watch a spectacular sunset over the sea. You might even see a pod of dolphins showing off their acrobatics! There are still things to do after sunset as well – on a clear, dark night the stars can just as appealing as the beaches are during sunny days. Nearly 18% of Wales enjoys protected status for its night skies, and the campsite is situated between two Dark Sky Discovery sites, recognised for being the best sites in the UK to watch the night sky without too much interference from light pollution. 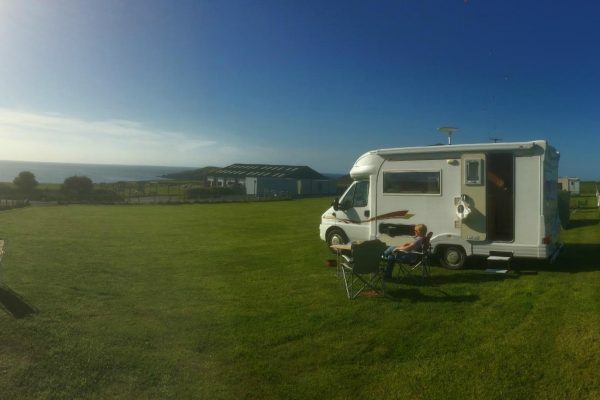 We can accommodate tents, campervans, motorhomes and touring caravans on grass pitches with or without electric. We have a ladies and gents shower block (50p charge per shower) and ladies and gents toilets. 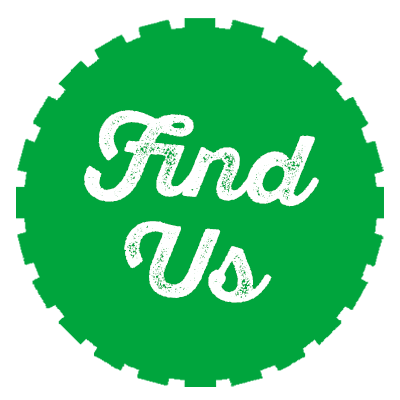 Indoor dishwashing facilities, tourist information, freezer for ice-blocks, access to drinking water, and chemical and waste water disposal points are all available on site. Our licensed café in the Farm Park is open from 10:00am to 5:00pm daily, serving breakfast for campers until 11:00am, our full menu until 4.00pm and then snacks, cakes and drinks until 5.00pm.